An important skill to learn is how to calibrate the levels of your studio monitors. Most of the pros and professional studios have their systems properly calibrated. If you haven’t taken the time to learn how, or why you should calibrate your studio monitors then you have found the right article! The good news is that calibrating your system is actually a very simple process. I think it’s important to mention that calibrated systems are only best for checking sounds at mix level and mixing. Once your system is calibrated, sounds that hit 0dBFS will be REALLY LOUD!!! By calibrating your system you will give yourself headroom in your mixes. This forces you to add more dynamic range in your mixes! By mixing in a calibrated room it makes it easier to transition to other rooms that are calibrated to the same level! It also helps other people adjust to your room. Once your room is calibrated dialogue levels are typically mixed at normal speaking level. This makes it easier to mix by ear. By mixing with headroom you will ensure better video game mixes that don’t require ducking for the dialogue to poke through. LOUD sounds will appear louder because they will have more contrast to the quieter sounds. THINK OF IT LIKE THIS. IF I TYPE IN ALL CAPS THEN ALL OF THE WORDS ALL SEEM TO BLEND TOGETHER AND THEY LOSE THEIR IMPORTANCE. However, if you have mostly lower case and then type in only ONE bold capital word it helps it to stand out. Film and TV all have very standardized mixing levels. However, video games haven’t yet set such an industry standard or level requirements. Game Audio is such a diverse medium that it is much more difficult to standardize levels. Despite this, I, and many colleagues of mine, believe that we should have a set of video game industry monitoring standards. Let me tell you why! More and more games are using cinematic style levels for mixing. Games such as Uncharted 3 and The Last Of Us both have mixes with around 30dB of dynamic range. Their teams take a very cinematic approach to their mixes. Dynamic range must be important considering The Last Of Us seemed to win, oh I don’t know, pretty much EVERY audio award out there 😉 I learned A LOT working on Uncharted 3, not least of which is that mixing around the natural levels of spoken dialogue leads to better sounding games. The large amount of dynamic range also allows big moments to seem bigger because of the contrast with the quieter ambient moments. This prevents bad mix practices like extreme ducking when dialogue plays so the dialogue can be heard in mixes or overly compressing and limiting a bunch of dialogue files to get them to poke out in the mix. Sound familiar?? Perhaps you didn’t start your project with a properly calibrated room and mix! My favorite sounding mixes in games have room to breathe in the mix. 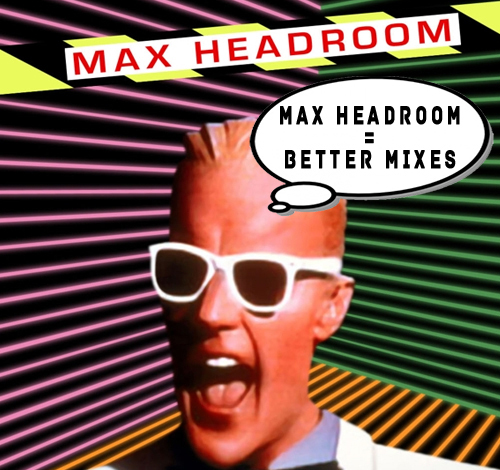 It’s easy to fill games with sound and use ducking to fix things later, but I’ve tried that before and trust me… a proper mix with headroom from the beginning of the project is a MUCH better way to go!!!!! Also, many games are played by people for long periods of time and don’t have commercial interruptions or other media to compete with level wise. Games like this are lucky because the players will generally set their levels once and not adjust them unless the dialogue isn’t audible or something is played back way too loud. Early on in my career I made the mistake of mixing with too little dynamic range, and I think the fact I didn’t have a calibrated system is a big part of why that occurred. Yes… you will need speakers… shocking I’m sure 😉 Many times you’ll have to adjust individual speaker volumes so it’s best if you have studio monitors with their own individual volume pots. OK, so you’re probably sold on calibrating your system at this point. Let’s go over the details. 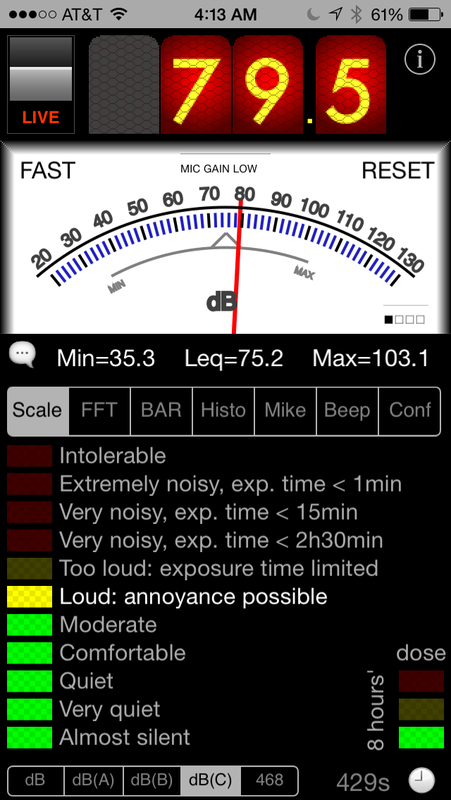 To calibrate, you will be playing -20dBfs RMS pink noise out of your system. You can either do this with a signal generator or with these pink noise files I uploaded for you here. The -20dBfs pink noise is chosen because it matches normal conversational dialogue levels. By calibrating and setting “Normal Dialogue Levels” at -20dBfs this will give you 20dB of headroom in your mixes. Now your average dialogue can sit around -20dBfs and big moments like epic explosions and gigantic cinematic moments can be up to 20dB louder! Your calibration levels will depend on what kind of audio mixes you are doing. These are typically 79dB SPL for broadcast and games facilities that use smaller edit suites or 85dB SPL for large edit suites when working on a Film. Some game people I know leave their systems at 75dB SPL, but I recommend this only for designing sounds and not for final mixes. The higher the calibration number, the more headroom above the dialogue level as well as the overall quieter mix you will get because of the larger amount of dynamic range. For example, calibrating your system to an 85dB SPL calibration level will lead to quieter overall mixes with more headroom than a 75dB SPL calibration level will. This is because 85dB is so much louder than 75dB that you will naturally mix things quieter in the mix, dialogue will still sit at a level that seems conversational in your mix, which will in turn give you more dynamic range between dialogue and the louder sounds. That’s it! You’ve calibrated your DAW! Now, you can optionally adjust your PC to match the same output volume. Either use this Youtube Video or use the SoundCloud player below. Step 4: Turn up or down the PC or MAC volume until it measures 79dB SPL (Broadcast or Games) or 85dB SPL ( Film) on the SPL meter. Since you’ve already calibrated the other speakers you only have to measure the first speaker. Step 5: Mark the output level on your PC or MAC volume. If you have made it this far CONGRATULATIONS! You now understand why it’s so important to have a calibrated audio system! Headroom is a beautiful thing in mixes and a calibrated system helps you achieve better levels for dialogue and a nice dynamic range in your mix. I hope this article proved to you why it is so important to have a calibrated system. I also hope it will get more video game audio people talking about calibration and adopting a standard, or set of standards, so we can ensure our mixes continue to contain lots of headroom! If anything didn’t make sense, please don’t hesitate to make a comment with questions or concerns about this. Thanks Roddrick 🙂 Always good to hear the content is useful! Good article BUT, this is where I get confused…after you calibrate your system, and you are playing a semi-finished mix through you DAW, what then? 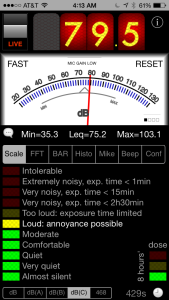 Somehow the practicality of doing this escapes me…do you continue to take measurements to ensure you are mixing at 79 db? Please can someone kinda walk me through their process when they are actually mixing? This calibration allows you to mix in any calibrated room and know when loud is loud and quiet is quiet. It keeps things equal in calibrated spaces. This way, you don’t turn dialogue WAY UP in a room because they have their monitors much quieter. So, once you are used to mixing on a calibrated set up, it’s more of a set it and forget it kind of thing. You move the knob that controls your speaker volume to the “75dB reference notch” and suddenly you have a baseline for overall volume. Without this, you may turn things VERY loud (when monitors are quiet in a room), or turn things to be very quiet (when monitors are quiet in a room). Imagine having speakers at a very low level. You’ll end up turning EVERYTHING WAY UP to compensate. This prevents that! Oh geez, did I not mention to do it one speaker at a time? Whoops! Thanks for mentioning that. Thanks for typing this up Dave! Agreed. Was going to mention that. The difference between 79dB and 85dB is more to do with room size than program content. 85dB is good but only if you’ve a decent sized room. 79dB is for a small edit suite. Why do we use db(c) and not db(a) for measurement at mixing position? Are we measuring peaks instead of average level? When using an interface, what should the monitor knob on the interface be set to? It all depends on the interface and monitoring options. Do you have a separate monitor device for your speakers? Generally, you set your levels internally and then put a small mark on the monitor controller or interface at the spot that hits your target levels 🙂 You could even put marks at different levels so you have one for film mixing and another for tracking and mixing CDs if you wanted. If your speakers have no calibration then yes. You output the sound from your daw until your speakers hit the target output then mark that number, whatever it is, as your 80dB output level! Hopefully your speakers can be adjusted a few dB just in case they aren’t equal in output or level. So in other words, I could put my monitor knob on the number 5 and calibrate that for 80 DB? Do I have that correct? I was wondering how you would calibrate if you are using fmod as your middleware. Since FMODS db meters are kind of wonky, how would I translate from protools to fmod? Thanks 🙂 Calibrating from an application or platform is a similar process. For FMod you are really just using your computer output so if you put a -20dB pink noise tone into FMod and play it through your speakers you can calibrate it by calibrating your PC output level. If your target platform is a system like the PS4 you’d have to calibrate your receiver levels to output at that level, commonly by either playing a calibration tone through the system then adjusting receiver levels until they are calibrated or by putting your entire system through protools and monitoring through protools. That’s great! This is awesome info! One more question though. Is it still going through PC Audio output even though I’m using an interface? Thank you so much Aaron!!! Thank you very much for writing this long and informative article. I have a quick question that I hope you wouldn’t mind answering. I have already tried a few times to calibrate my monitor speakers but somehow I’ve got different db values. Therefore I need always to change the monitor knob of my interface. For example, when my spl meter reaches 79dB I have to set my monitor’s knob on -13dB and if I try again I have to change it a few db higher..
That’s odd. Are you doing it from your DAW or PC? If DAW ensure all settings are the same, then that all monitor knobs are marked. If from the PC be aware the pc volume slider will affect it. In theory this shouldn’t occur so it sounds like something else in the system is being adjusted between calibrations or that the microphone is being moved or shifted when getting levels. Good luck! Thank you vey much for the prompt reply. I figured out!! I had to calibrate the spl meter’s mic. Hey Aaron, thank you for the time to help on this topic. My confusion is, after individually turning up each speaker’s volume to hit 79dB SPL, when I un mute all speakers, I get the combined reading of 84dB SPL. Obviously because all speakers are now combined. Am I then suppose to bring down the over all volume back to 79dB SPL? on SPLnFFT how do you change from A to C weight??? Edited your comment to only relevant information. I think you have this process confused with “burning in speakers”. There is no set time to play the noises for calibrating speakers. You play the noise, adjust volume until it hits the target, then you are done with that speaker so you can turn it down and move on to other speakers. Next: VIDEO FOR GAME AUDIO – Capturing and Converting Video Files for Use Within Your DAW. Previous: How to break into the professional game audio industry!